So, we woke up this morning to all kinds of good things. First and foremost, Evelyn's pancreatic enzyme levels are dropping - which means her pancreatitis is going away! Also of note was that she was clearly feeling LOTS better. She mostly slept this morning, kind of soaking up the 'absence of discomfort' and just recuperating. Also, last night Evelyn spent two hours on a heated trach collar (which means a tube that humidifies and heats the air, but provides no breathing support). Today she did three hours this morning and four hours this evening - and tomorrow she will go all day long with no breathing support! By Friday she should be using a little 'nose' - which is a simpler form of heat and humdification - so she will be wireless again during the day. We will still bring a ventilator home, which we will use at night as a cpap machine - giving her a light but constant flow of air into her trach which will enhance each breath she takes. This is good extra support, and also a nice safety in the event that Evelyn gets sick and needs extra breathing help. 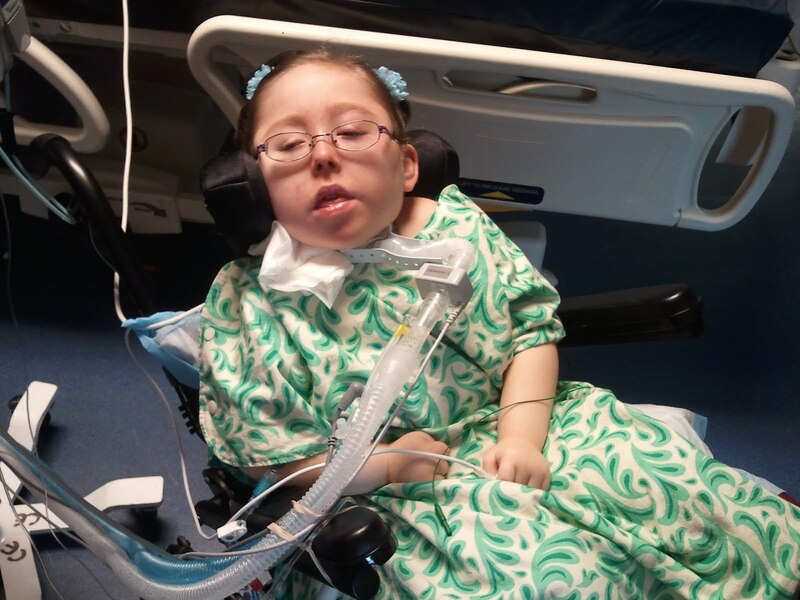 Having a ventilator at home, even if we could technically get away with not using it, makes everything safer because it gives a lot of room to help Evelyn if and when she needs it. 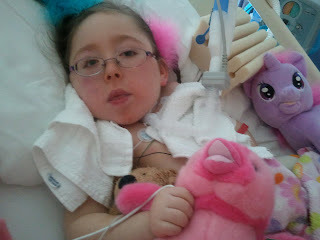 Also, tomorrow Evelyn will start eating via her gtube again instead of via IV nutrition. Because her enzyme levels are improving we will not have to use a j tube, but we will use a lowfat diet just to be nice to her pancreas for a while. Our ICU doctor agrees with Tuesday as our tentative discharge date, so we are starting to see the light at the end of the tunnel. Hoping tomorrow brings more good pancreatic enzyme levels, more good breathing stuff, and a quiet entry into the weekend.